Lowdown: Further musings on what it means to be a live human. Blade Runner was, and still is, one of those huge movies that forever left its mark on me and made me a significantly different person to the one I was before entering the cinema. 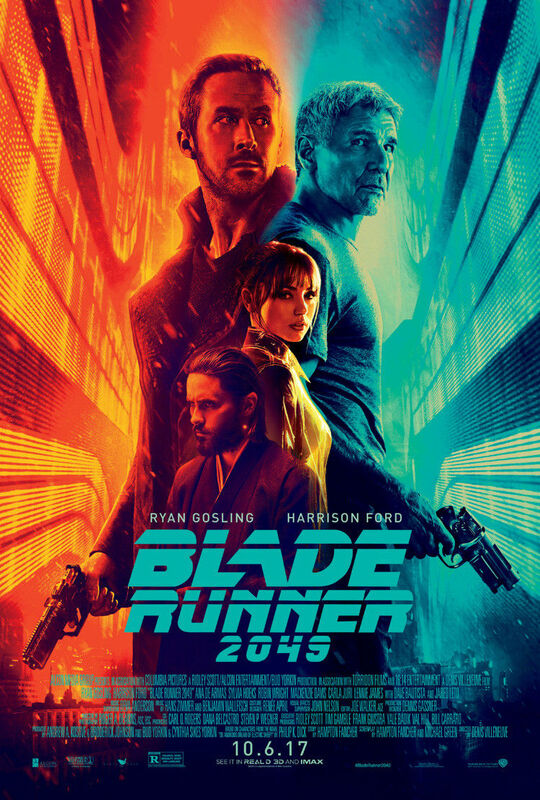 If you were to ask me for my pick of best movie ever, there is a very good chance Blade Runner would be my pick (though I would probably add a disclaimer on the frivolous nature of picking "the best" to begin with; ask me, instead, for my favourite movie ever, and you will definitely get a straight answer). The realisation that “they’re doing a sequel” to perhaps my pick for best movie ever had to come with a heavy burden, for it is rare for a sequel to rise up to the challenge; on the other hand, I am mature enough to not really care much. Whatever impact Blade Runner has/had on me does not have to be affected by issues with the sequel. Like the time between films IRL, Blade Runner 2049 takes place some 30 years past its prequel. You can run a checklist, but I assure you every stylistic cue or plot device of motif that was there in Blade Runner can be found, in one form or another, in 2049. Looks, sound, music, plot, they all feel the same (albeit with CGI making for slicker visuals). 2049 is therefore a proper, and very authentic feeling, sequel. That said, Vangelis’ music clearly cannot be equaled, and come movie peak time 2049 does revert back to the best (as it should!). Plot wise, we have a Nexus android (Ryan Gosling) that, for a change, actually knows he’s a Nexus, chase after leftover Nexus replicants that survived from the time of the first movie (after which they were apparently outlawed). As he goes about terminating his fellows, armed with a Blade Runner grade pistol and a badge, he uncovers a mystery that leads to revelations on his own identity. Thus starts yet another film noir tale that aims to say another thing or two on what it means to be a human, as in - what it is that defines us. This time around, the main motifs are memories, as per the first round, but also reproduction as well as drawing comparisons with artificial intelligences of the silicon type. There is a villain, the new millionaire running a business around replicants (Jared Leto), who also happens to be by far the weakest link in the movie’s plot for the crime of rather unsubstantiated motives. And, eventually, we will meet Deckard (Harrison Ford), our hero from the first Blade Runner, for a shortish role. Which brings me to a point I haven't seen discussed elsewhere: Blade Runner 2049 assumes you know Deckard is a replicant. That, however, was not a conclusion one could logically derive off the original Blade Runner that played at cinemas back in the early eighties; only after the Director’s Cut, released more than a decade later, could that conclusion be drawn (through the addition of the unicorn dream). What did I make of 2049? Well, after 3 slowish hours, I thought it was a good movie that suffers from severe pacing problems. In an era of CGI overdoses, its visuals have nowhere near the impact the original movie had, and given the lack of originality I would say 2049 will in no way be remembered as the cinematic event its predecessor was. But that’s alright; most other movies fall far, far, behind. Overall: When taken in context, 2049 feels like a DLC patch for the original. 3.5 out of 5 crabs.